From Reuben sandwiches to fish and chips, these five Irish pubs in Hampton Roads prevail! If eating like a leprechaun year-round is a must for you, then these five local Irish pubs want to prove to you that they're the best. They offer live entertainment, delicious food, and a large selection of alcoholic beverages, including beers on tap. 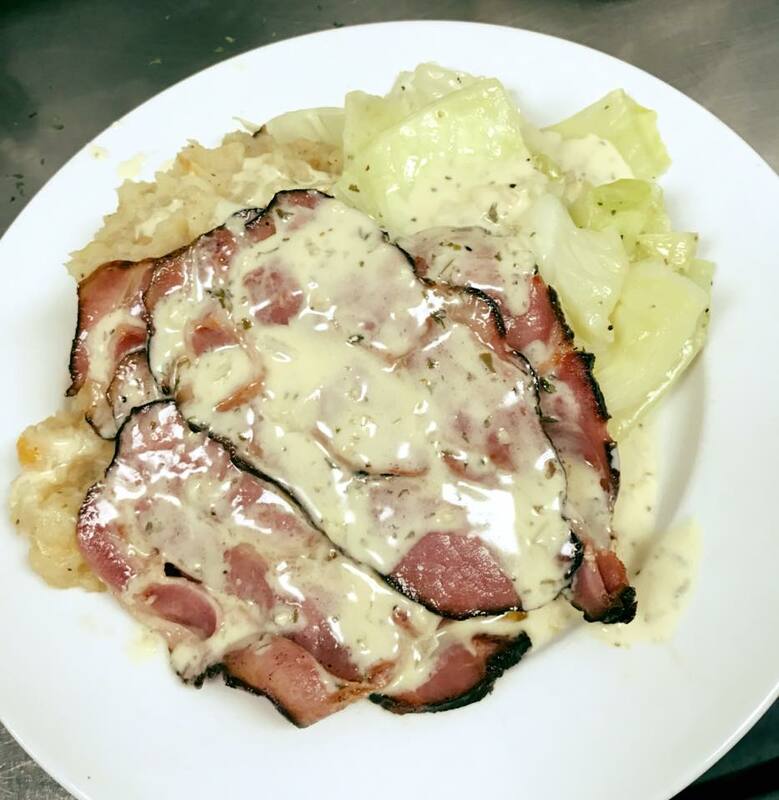 Grab a pint and have yourself a bowl of corn beef and cabbage! Grace O' Malley's is a sophisticated pub located in the heart of Norfolk's Waterside district. They offer live entertainment, delicious authentic dishes, and plenty of beer! The food and service are spectacular. My favorite dish is their bangers and mash -- it has the perfect flavor combinations. 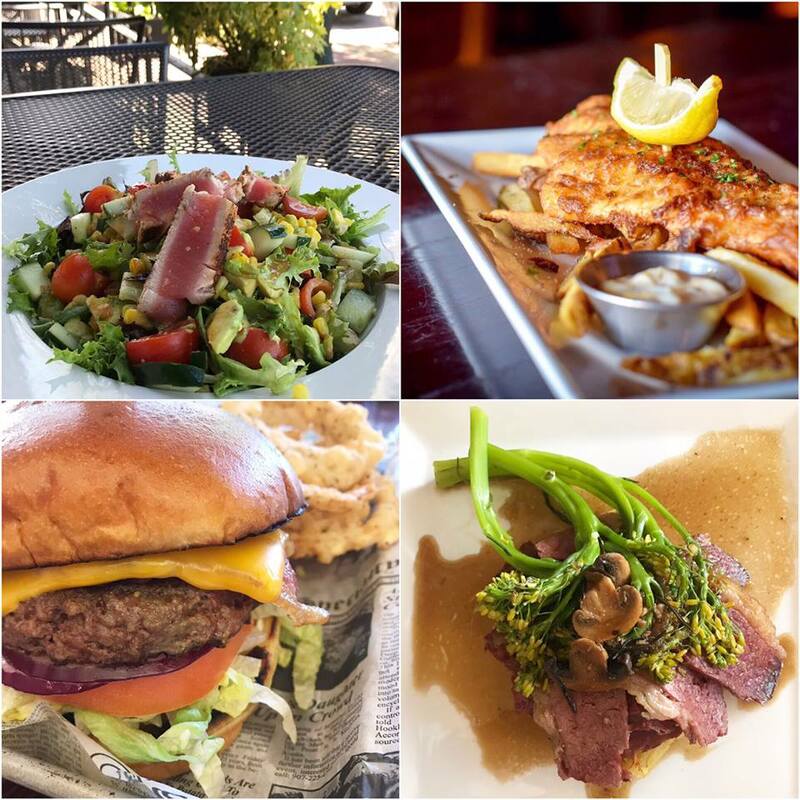 Check out their specials on nearly every day of the week: Military Mondays (50 percent off any food item from 11 a.m.–9 p.m.), Tuesday's Whisky Tastings and Steak Night, Wednesday's Pie and Pint (meat pie of the day and any draft for $10.33), Thirsty Thursdays ($2 16-oz. drafts), and more. "There is no place like home," except for Murphy's Irish Pub! Well-known to the locals, this favorite Irish pub has authentic food that's just hard to beat! One of the best parts about Murphy's is that they often host local talent. Plus, the restaurant just feels like a real Irish pub, making you feel as though you took a trip to Ireland without ever getting on a plane. Not to mention, the service and food are phenomenal, and everything always tastes like home! P.S. I suggest getting the Reuben, the fish and chips, or the Irish stew! The local chain restaurant features event nights, lots of beer, and delicious food at a reasonable price. 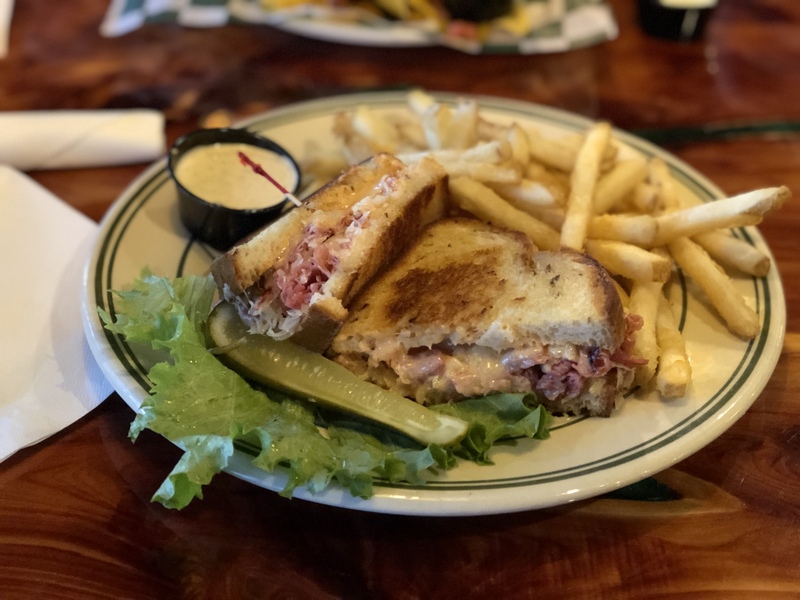 Hands down, their Reuben sandwich is the best in the area because of its perfect ratio of sauce to meat, cheese, and sauerkraut. Park Lane is a European pub that offers a traditional atmosphere with delicious food from all over Europe, including Ireland. In my opinion, Park Lane has the best fish and chips and bread pudding in Hampton Roads. 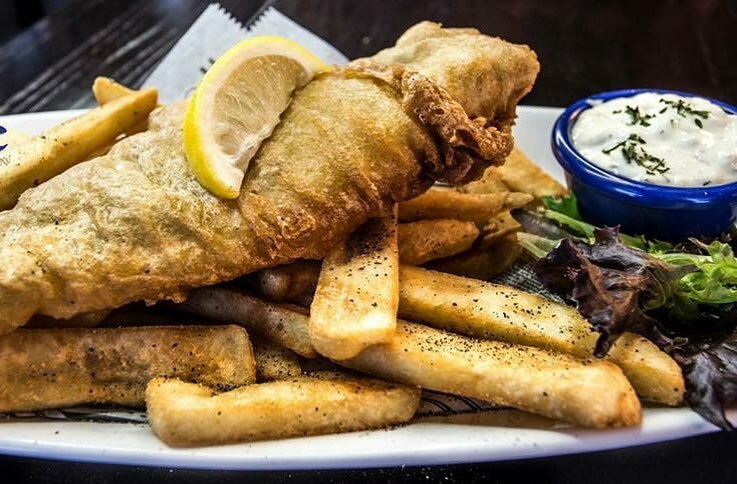 The fish and chips possess the perfect fish-to-batter ratio -- the fish is nice and tender on the inside, while the outer shell is the perfect amount of crispiness. Don't forget about the drinks! The restaurant contains a "Beverage Bible," which contains hundreds of drink combinations and tons of beers on tap. They host events such as Valentine's Day dinner, Sunday brunch, "Steal the Glass" (every Monday), and half-price fish and chips (every Tuesday). Keagan's Irish Pub is another local Virginia Beach favorite located in the heart of Town Center. The staff is dressed for the occasion to match the authentic atmosphere. 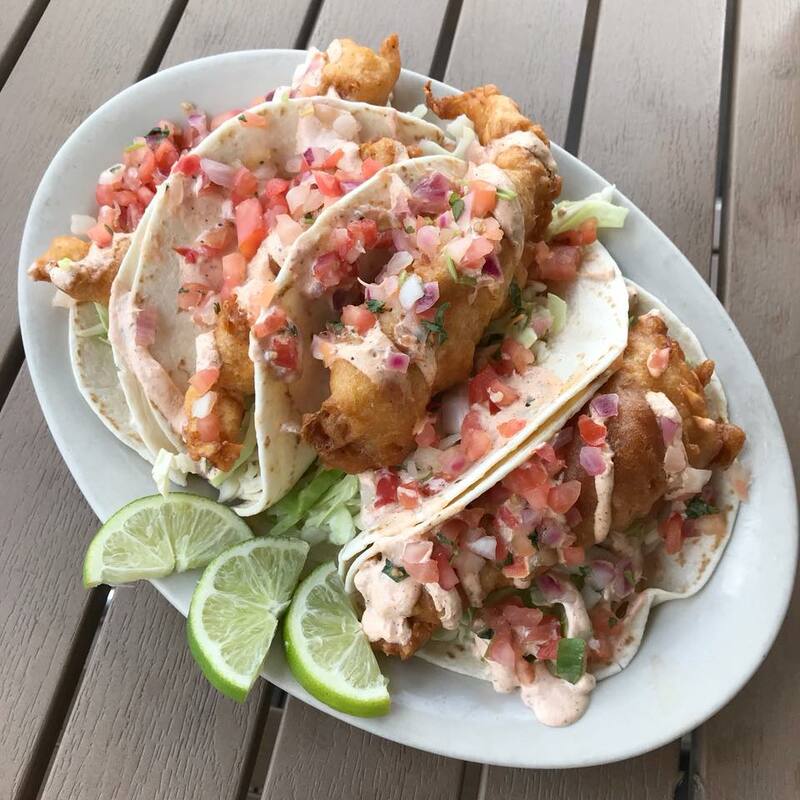 Keagan's offers live entertainment, authentic food, and a large beer selection. Every week they offer a new list of events! Their spectacular St. Patrick's Day celebration will allow you to party like the Irish with food, drinks, live music, and bagpipers. Are any of these Irish pubs your personal favorite? Did we leave an important one off the list? What's your favorite dish? Tell us in the comments. In the mood to make a delicious Irish dessert? Check out these Irish coffee brownies with boozy frosting!